Affiliates, are you looking for a way to organize the Merchants and products you found through the Merchant Search? Well look no further, because we have a handy tool just for that – Baskets! Baskets help organize the Merchants and products you searched for inside your account. And what’s better, multiple baskets can be created to help you organize multiple number of projects or topics you might be working on. For example, if you are searching for sports equipment because you are building a new site based on this topic, you can create separate baskets for all of the different sports: “basketball”, “football”, “baseball”, etc. Once you have created your specific baskets, go down the list of products and Merchants you pulled and place them into each basket as you see fit. If you do not have time to apply to all of the new Merchants that day, the baskets save all the products and Merchants for you in one spot. Next time you login, you can go to your different baskets to see all of the Merchants and products you saved and apply to them individually at that time. 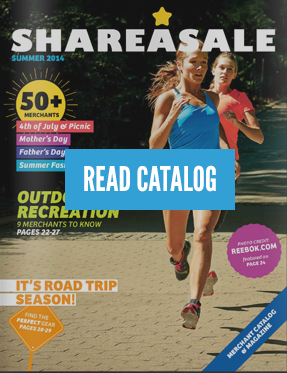 Log into your ShareASale account and click on “Merchants”. Next click the icon for “Search for Merchants”. From here you can search for Merchants or products using specific keyword terms under the “Keyword” or “Advanced Search” tab. Once you have found the Merchants and products you were looking for, click on “New Basket” to the left of the search results. If you searched by keyword, the basket will automatically be named the term you searched for, but can be easily edited as well. Apply to the programs you may not already be approved in. Get tracking links for specific products included in the basket. Edit, add notes or delete the basket when you are finished with the Merchants and products in it. I hope this has helped you organize Merchants and products within the interface!